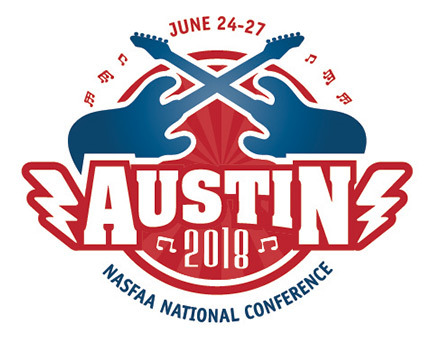 New for the 2018 NASFAA National Conference, registered attendees had three options for pre-conference sessions. These informative sessions were included with the registration fees at no additional cost. Throughout our lives, we are exposed to millions of messages about the world around us – messages that shape our perceptions of people, places, concepts and ideas. As a result, all humans possess a range of implicit associations that operate unconsciously outside our awareness, and often times in conflict with our explicit beliefs. Using an engaging and participatory structure, this workshop reinforced NASFAA’s commitment to diversity and equipped attendees with a deeper understanding of our unconscious mental processing and the ways in which these implicit associations impact our decision-making. NASFAA was pleased to have subject matter expert Lena Tenney leading this session. NASFAA U offered two in-person courses during the 2018 National Conference: Verification and Return of Title IV Funds. Those who attended one of the two pre-conference NASFAA U sessions should have received their test voucher at the end of the training session. Attendance was a requirement for exam access. Attendees that scanned their badges upon entry should have received the appropriate self-study guide for additional study and reference via email. This course focuses on the principles of verification, information subject to verification, acceptable documentation, processing data corrections, how to verify applicant files, and options for institutional verification. This course provides an overview of the return of Title IV funds provisions and examines how to handle Title IV funds when a student withdraws from school before completing the payment period or period of enrollment.